Guest post by Josh Combs, UW-W alumni and Military Liason for Aerotek. As the overall unemployment rate for veterans hovers around 9.3%, a significant decrease from November 2011, it is still astonishing to look at the unemployment rates for the National Guard (Army and Air) and the Reserve components, reaching as high as a staggering 17%. Now I’m not naive to think that all 17% of these individuals are hard charging, readily employable people, but I would like to think at the very least half of them are. As service members in the Guard and Reserve see these statistics they are rightfully woeful in looking at the job market. And what these trepidations have done for some is something that I am embarrassed about as an employer and enraged about as a veteran – individuals are excluding their military experience from their resumes and are not bringing it up during an interview. Guard and Reserve service members are worried that a potential activation or a deployment will deter companies from hiring them. As an employer, let me clearly say that you should make your military experience a prominent part of your resume and speak about it during your interviews. Every member of the military, through their own free will or by situation necessity, has led at some point. If you are an NCO (a non-commissioned officer), one of the main responsibilities entrusted in you is to develop and mentor those you lead. 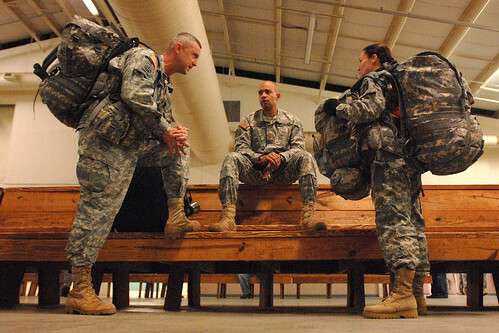 As a Senior NCO it is your responsibility to ensure mission success at all cost. Even as a junior enlisted you must always be aware of what your fellow Soldier, Sailor, Airman or Marine is doing around you, as your life and your mission depends on it. If you are among the commissioned ranks, you’ve had 5,000-5,500 people looking at you for leadership. This leadership is not only wanted in the civilian job market, it is absolutely needed. Be sure to explain your leadership roles in the military in your resume. Every day, CONUS or OCONUS (Continential United States or Outside Continential United States) service members are under pressure to accomplish a mission or task. The pressure comes in a variety of ways, from pressure above you in the chain of command, to pressure from the enemy, as well as the pressure we put on ourselves to succeed. In the “real world” the pressure may be coming from your boss, your direct reports, or your clients. Employers want and need to know that the individuals they choose to lead their organization into the future can handle the day-to-day pressures of the job. We have all been faced with decisions in the military that can have a major impact on our mission. The decisions that we make not only affect ourselves, but also those who look to us in a time of distress. Our training and our ethos allow us to make these decisions with pinpoint accuracy to ensure that we stay on task and on target. As a civilian employee, you will be forced to make business decisions every day that will impact the people in your organizations. Your employer will need to know that you can make these decisions while thinking not only of your own well-being, but that of your employees, company, and clients. These three traits just scratch the surface of what has been developed in every veteran and each of these traits are directly transferable to the civilian job market. Do not hide these abilities; be prepared to speak about them in specific detail. Do not think of your experience as something that will hinder your job search, rather, think of your experience as enriching, and something that will lead you to a fulfilling career. You are among a very exclusive group. You have answered the call to serve your country, and you have written a check to the people of this country payable up to and including the ultimate sacrifice. Highlight this when seeking the next challenge in your life. And if you find yourself in front of somebody questioning the values that you bring with you background, ask yourself “Is this the right place for me?” Be proud to be a veteran. You have earned the title. Josh Combs is a 2006 graduate of the University of Wisconsin-Whitewater with a Bachelor of Arts degree in Organizational Communication. He currently works as Military Liaison for Aerotek, the nation’s largest privately held staffing firm. His job is to help service members make the transition from the military to the civilian workforce successfully. Josh lives and works in the Chicago suburbs and travels across the country in this effort. He has served in the Wisconsin Air National Guard, 115th Fighter Wing since 1999. He has deployed multiple times in support of OIF and continues to serve to date. 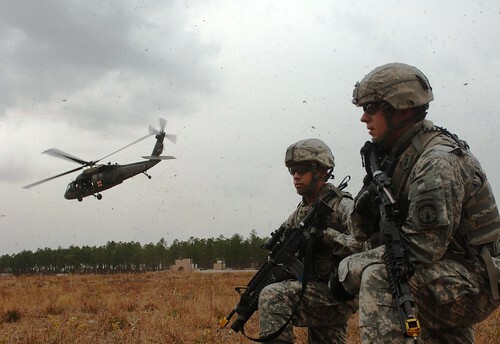 Photos by DVIDSHUB and expertinfantry. This week my blog will not be a typical career blog, but will cover some of the events happening at UW-Whitewater, as we come together to honor and remember our veterans past and present. There are a variety of exhibits, presentations, and events in which everyone from the university or the community at large can participate and from which we can learn. A complete list of all the activities can be found at http://www.uww.edu/news/archive/2011-11-veterans. I would like to point out a few of the activities the Veteran/Military Service Member Committee has planned as well as take time out to thank the many generous organizations and people who have helped bring this together for what I believe will be a moving and fun experience for those who choose to participate. Spirit box exhibit pays tribute to fallen service members – This is a powerful and moving memorial to the 106 Wisconsin military men and women who died fighting in Afghanistan and Iraq. Be sure to stop by the Fiskum Art Gallery to see this exhibit. It’s an experience you’re not likely to soon forget. I’m very excited about the opportunity we have to see this exhibit right in our University! According to Elizabeth Watson, Director of the Center for Students with Disabilities at UW-Whitewater, “When you can stand and see these faces, it’s very personal and intimate. I think it’s important to pause and recognize these individuals who served.” For a longer description and more information about what you will be seeing, go to: http://www.theriseofthefallen.org/theproject.html . Another event, in which everyone can participate, is the Honor Tree. It will be found in the University Center. You may choose as many ribbons as are appropriate to you to tie on our tree to say thank you to our veterans. Choose a color that indicates your support and honor to our veterans. Are you a faculty or staff member who wants more information regarding the process our veteran students go through returning to school after being in combat? Then I suggest attending “From Combat to Classroom: Transitions of Modern Warriors” presented my Cari Myles, an independent clinical Social Worker. Ms. Myles worked as a civilian social worker on US military installations in Turkey, Germany and Okinawa, Japan. Check out the complete list of activities and take advantage of as many as possible. Be sure to note, if you are a veteran, there are many activities available to you, specifically. Because I am a Career Counselor and I work with our veteran’s on campus, I would also like to invite you to come in to see me if I can help with any of your questions or related career needs. You may email me at craneyk@uww.edu or schedule an appointment by calling our office at 262-472-1471 and ask whoever answers the phone for an appointment with Kathy. And once again, thank you for all you have done for us! We really do appreciate it! It’s Veteran’s Day week and there will be a week-long celebration and thanking of veterans on our campus. This is also a time when veterans may be thinking of putting together their resumes for either graduation or an internship. Last year, I gave some advice to veterans about writing your resume. This year, I’d like to continue with some advice. The first thing anyone wants to do is to gather their experience that will be useful to your new employer. Are you having difficulty remembering everything? The good news for you is your military experience has been recorded for you on your DD2586 form. It lists your military job experience and training history, recommended college credit information, and civilian equivalent job titles. Now that you have a list of your experience, you need to translate them into skills and accomplishments. To do this, look at the qualifications and job description, check your experience, and decide which skills you used to perform these military jobs and what you accomplished by using those skills. For example, if the job requires problem solving skills, you might say something to the effect of: “Troubleshoot operational functions to insure productivity and optimize quality.” In this case, you’ve listed the required skill – problem solving – and shown your accomplishment – insured productivity and optimized quality. Each job/internship will have its own required skills and accomplishments, so make sure you carefully read the job description to find what you need and list each one needed. Don’t list items that aren’t needed and stay away from listing your job duties or responsibilities. Stick with related skills and accomplishments. Don’t forget volunteer information, especially if it’s relevant. Many of you in the military have had some very impressive volunteer experiences helping others. Don’t diminish that. These experiences can show good communication skills, diversity, problem solving, leadership, etc. Just because it wasn’t in your “job” description doesn’t mean it’s not an accomplishment! Don’t forget other military advantages, things such as giving and following directions; working as team leaders (management experience) and members (teamwork is a highly valuable skill in the workplace these days); working with diversity; and the ability to work under pressure. Other advantages may include your military security clearance, attention to safety, working with expensive equipment, advanced technology and so forth. Be sure to contact us if you need help with your resume and thank you for your service!